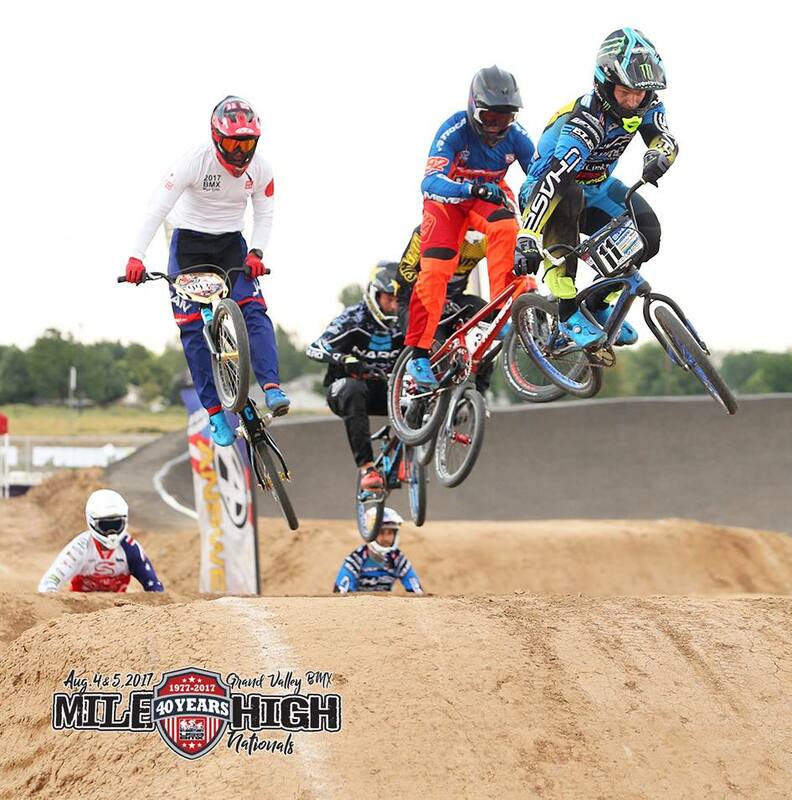 The USA BMX Pro series headed to Grand Junction, Colorado for stop #8 of the 2017 Pro Series tour. This was the 3rd round on the 2017 tour that features a supercross style track. 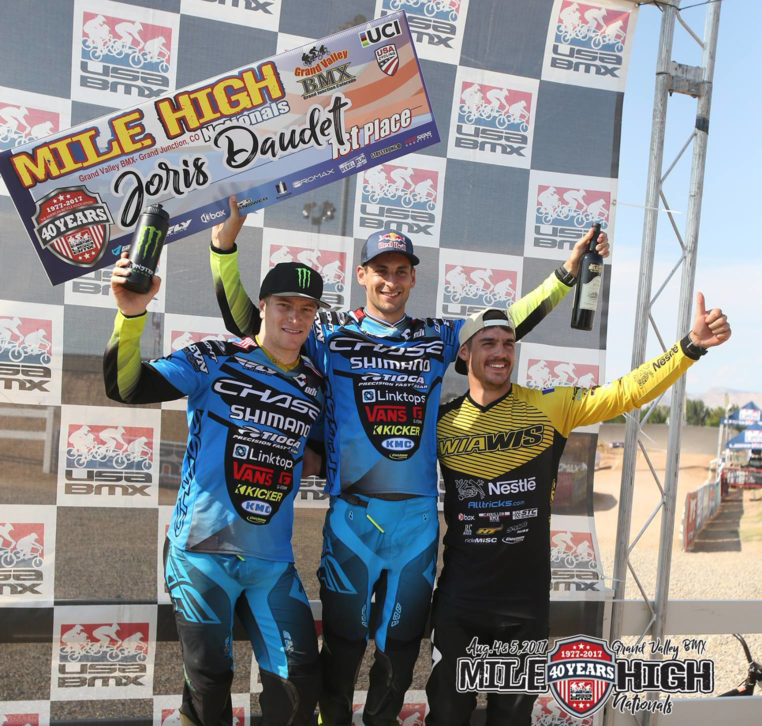 With Joris Daudet and Connor Fields sitting 1 & 2 currently in the USA BMX points, with 5 wins each on the season so far, they were both looking to grab another win and extent the points over the other Elite riders. The Colorado track is a bit different than most, giving the riders some challenges and making being spot on perfect down the first straight away ultra important. With a wide open first turn, it gave the riders a lot of options as well to try and grab the lead. On Day 1 of racing for the Pros, there were plenty of moves made going into the first turn, showing the options, making racing even more exciting. Joris and Connor would both ride their ways into the main event. When the gate slammed for he final, Connor had a perfect start and run down the first straight away, separating himself from the field into turn one. Connor would stretch out his lead, taking a decisive win for the day. Joris didn’t have his usual success in day 1’s main event and would finish up 7th for the day. Day 2 and Connor and Joris were back at it, winning each lap, other than the one they raced against each other, all the way up to the main events. Each winning the semi’s would give them 1st and 2nd gate pick, putting them next to each other for the main event. Joris had Gate 1, Connor 2, and when the gate dropped, it was an all out drag race. Joris would just edge out Connor info the first turn, taking the lead. Connor was actually passed briefly, but made his way back into 2nd, where they would finish up the weekend in 1st and 2nd. 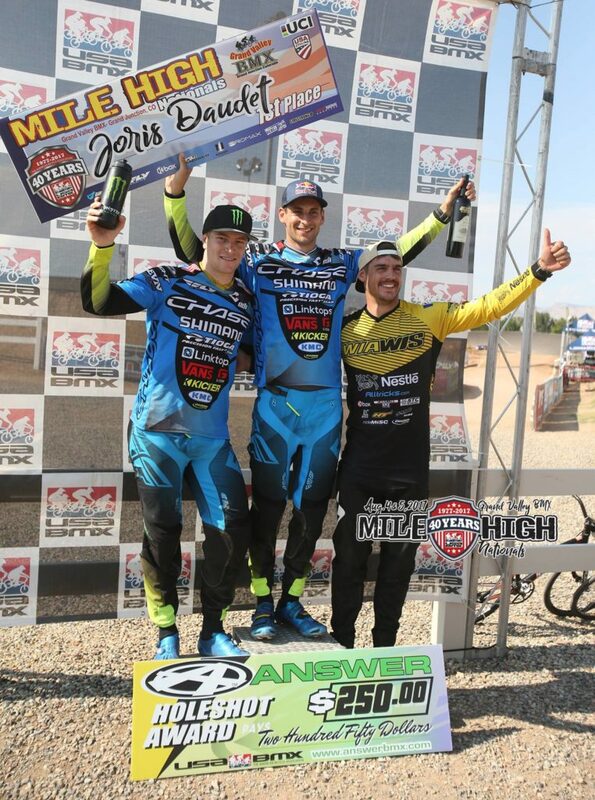 This gives each rider 6 wins for the season, having them in a virtual tie for the overall USA BMX Pro title. 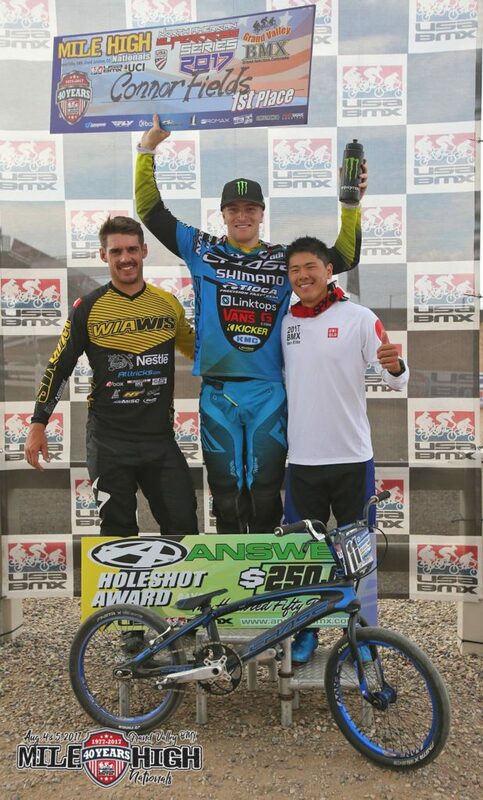 There are still 3 weekends of Pro racing plus the Grands weekend to determine the 2017 USA BMX Champ, and it will probably go all the way to the last main at the Grands to determine a Champion. 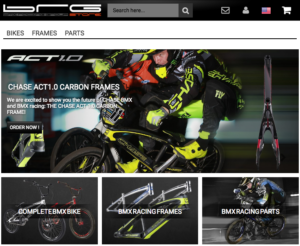 The riders now have a few weeks off before heading to the next stop of the USA BMX Pro Series in Louisville, KY. As always, thanks to our great group of partners and sponsors for the Chase Bicycles Pro Team!